"Om Shreem Namah. I let divine joy, abundance and beauty into my life." 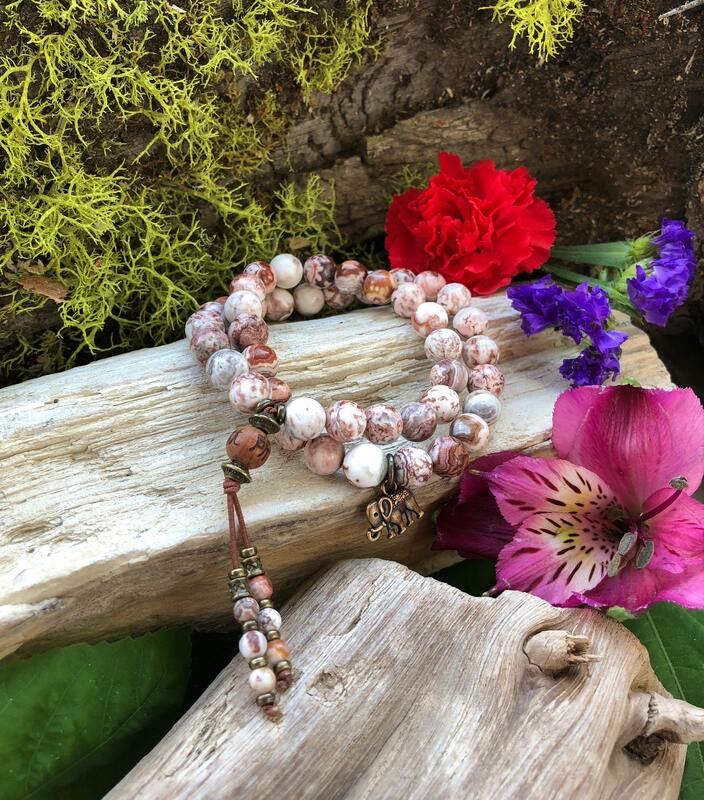 The Ananda Bliss Double Mala Bracelet features gorgeous AAA grade Brazilian Crazy Lace Agate gemstones with a single cedarwood ancient prayer bead and an antique copper reversible Ganesha (elephant) charm to balance all of your chakras and bring more happiness and laughter into your world. 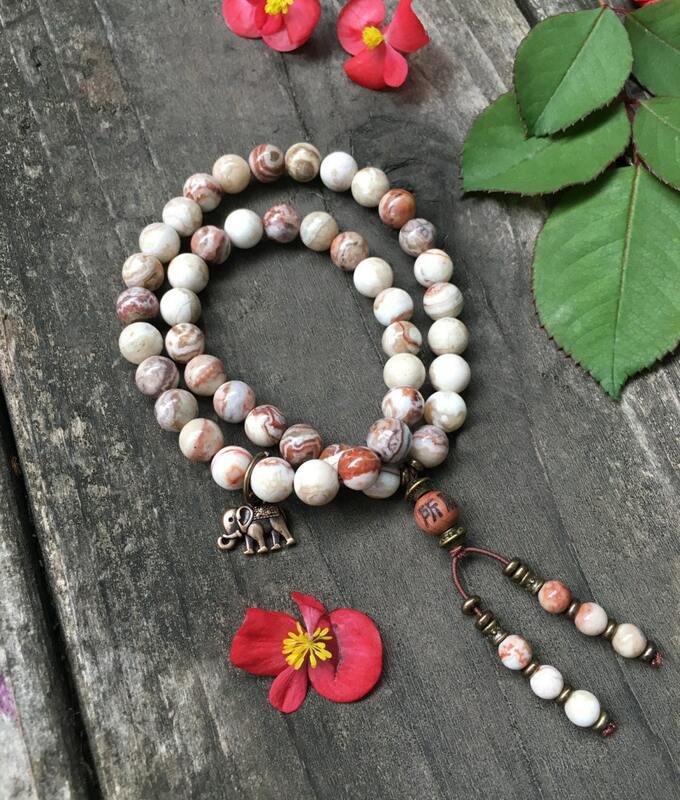 This mala bracelet gently wraps around the wrist twice, offering double the healing vibrations. Ānanda आनन्द is a Sanskrit word that translates to "bliss" or "happiness". Crazy Lace Agate is called the laughter stone, or "happy lace." It stabilizes the aura, eliminating and transforming negative energy into positive. Its warm, protective properties encourage wise decision making, stability and self-confidence. Crazy Lace Agate enhances mental function and improves concentration, perception and analytical abilities, leading to practical solutions. It can also absorb emotional pain, heal inner anger and give you the courage to start again. Agate works slowly but brings great strength. It is a light, joyful stone that encourages happiness and general optimism for life. Ganesha is the most widely known and revered Hindu deity of success and remover of obstacles. Reiki is the ancient Japanese practice of balancing energy. When Reiki energy is infused into crystals, it magnifies the healing power. It actually 'charges' objects with protective, positive energy and increases the effectiveness of a crystal's natural healing vibration. 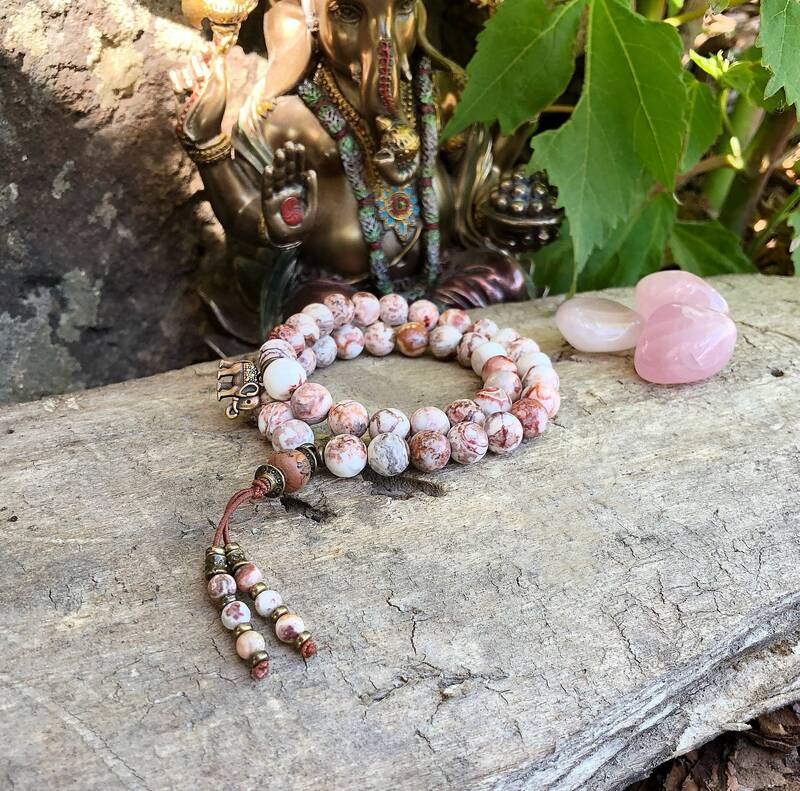 Reiki infused jewelry can then be given as a gift to someone who needs a bit of a boost, or to yourself when you need an extra dose of healing and love. Just what we expected it to be. Wonderful bracelett, very genuine !